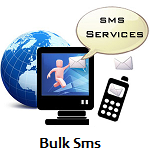 Bulk SMS Api Worldwide. Buy your sms account and sent sms to International. SMS Api allows you to integrate an sms service on its website attracts more visitors. SMS Credits do not expire – No contracts. No Hidden fees. We will send the instructions and unique link to your paypal email address or the email you send to us. The SMS account with Username and password will be delivered until 24 hours. With our server you can send sms via http Api or the control panel. Place a free sms service in your website, our prices are the cheapest, you can send sms to any Country and with Our Api is easy to integrate. Email Contact: [email protected] or you can contact us by the form below.